Anietie Isong started his career as a journalist with Radio Nigeria. His short stories have been broadcast on the BBC and Radio Nigeria and he has won several writing prizes including the Commonwealth Short Story Award and the inaugural Olaudah Equiano Prize for Fiction. 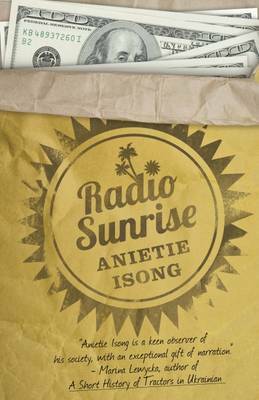 His new book, Radio Sunrise, is a hilarious, yet sobering take on the foibles of Nigerian life and politics from the perspective of a young journalist. Chibundu Onuzo was born in Lagos, Nigeria in 1991. Her first novel, The Spider King’s Daughter, won a Betty Trask Award, was shortlisted for the Dylan Thomas Prize and the Commonwealth Book Prize, and was long-listed for the Desmond Elliott Prize and the Etisalat Prize for Literature. 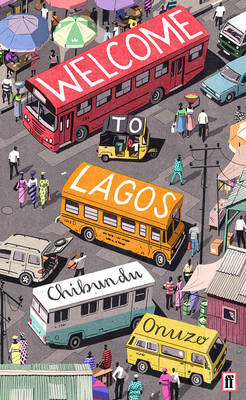 Her second novel, Welcome to Lagos, weaves a powerful story around seven intersecting lives within contemporary Nigeria. As well as Caine Prize Chair for African Writing, Delia Jarrett-Macaulay is an accomplished writer, academic and broadcaster with a career spanning over 25 years. She received the Orwell Prize for political writing for her first novel in 2005 and her latest book is Shakespeare, Race and Performance: The Diverse Bard. Join all three for this very special evening highlighting the literature of Nigeria. I wish Stephen Hawking’s “Time Travel Machine” is a non-fiction so that I could have ride its back to travel to London for these inspiring young novelists ABCD.